Submitted by Triple D on Sat, 23/03/2019 - 18:05. Submitted by Triple D on Sat, 23/03/2019 - 18:11. Submitted by HR ambo on Sat, 23/03/2019 - 18:58. Not my cuppa tea. I'd own anything, but I don't drink tea. Submitted by 68surfwagon on Sat, 23/03/2019 - 20:28. Submitted by HR ambo on Sat, 23/03/2019 - 21:38. ..I'll ride shotgun. But nah, something not right about it. Submitted by 68surfwagon on Sat, 23/03/2019 - 21:58. Submitted by tiki63 on Sat, 23/03/2019 - 22:44. Submitted by HR ambo on Sun, 24/03/2019 - 08:02. I know I'm blaspheming here. I think F*## did a good job. Submitted by 68surfwagon on Sun, 24/03/2019 - 08:54. Submitted by Old is good on Sun, 24/03/2019 - 18:34. 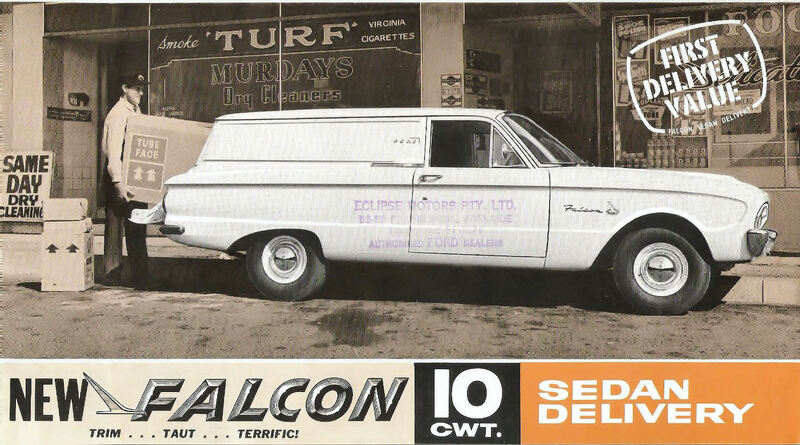 I reckon an EH would look good as a sedan delivery. Submitted by tiki63 on Sat, 23/03/2019 - 21:08. Sorry Tim, but it's a big yeah from me... I'd drive that. Submitted by 68surfwagon on Sat, 23/03/2019 - 21:21. Submitted by tiki63 on Sat, 23/03/2019 - 21:31. Submitted by 68surfwagon on Sat, 23/03/2019 - 21:53. Submitted by Old is good on Sun, 24/03/2019 - 18:35. I'll have a '55 thanks. Submitted by Triple D on Sat, 23/03/2019 - 22:14. Submitted by nitrox on Sun, 24/03/2019 - 00:01.
looks great, liking he rough paint etc on it too. Submitted by 68surfwagon on Sun, 24/03/2019 - 08:50. I like some of the rough looking patina type ones.